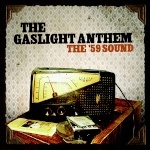 The Gaslight Anthem Fan Forum • View topic - Sales and Revenue Info? I always think about this stuff after reading that The Rolling Stones would generate $500 million+ in revenue on a single world tour, so now I wonder how much TGA is doing. I assume Handwritten was their top selling album so far (at least the biggest debut), does anyone know how many copies sold? I'm also wondering how many people are in their RMP club, and also how many copies of each of their previous albums have sold.